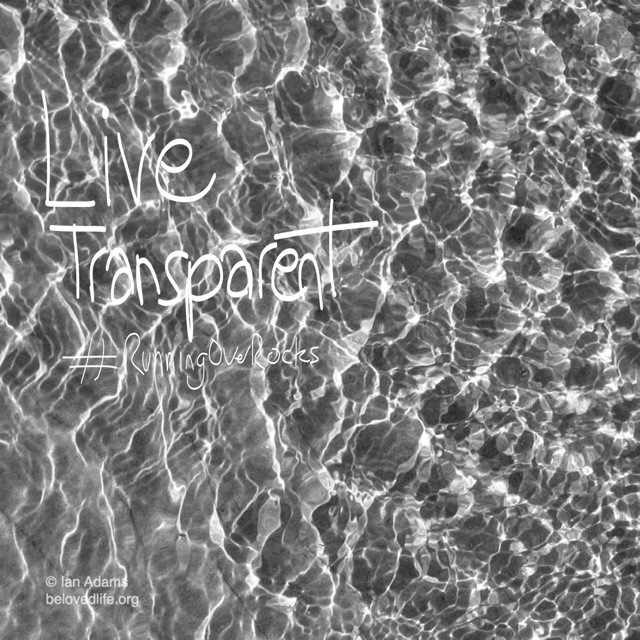 REFLECTION: ‘Live Transparent is a stance of stillness and movement for a life to bring good to us and to the world around us. It’s about living with openness. Most of us have probably found ourselves at some time living without transparency. Keeping the water cloudy. And it doesn’t feel good. Lives and societies that bring good thrive on openness. Living transparent doesn’t mean that we have to put everything ‘out there’. There will be private things, precious things, intimate and tough things that need to be held just by us and by the people we love and the people who love us. But this stance is about setting out to live in a transparent way. Could transparency become our first instinct rather than our last recourse?